Ladies and gentlemen, I am pleased to introduce you to the Democratic candidate for the 8th District of Ohio, Justin Coussoule. 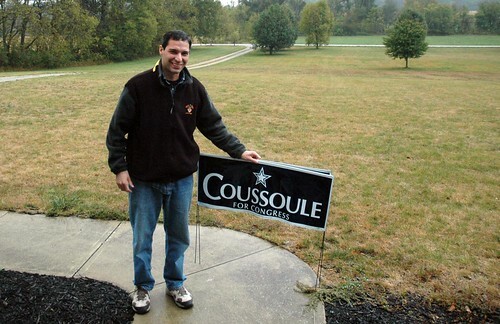 As you know, last week Mr. Coussoule popped up in my discussion of the congressional race in my district and asked, since I noted I was planning to vote for him, if I would put up a sign of his in my yard; I said that if he showed up with the sign, I would. And thus, here is Mr. Coussoule, and there is the sign (signs, actually; he brought two. It’s a big yard). As he made the effort to show up with the signs, I’ll be a man of my word and will put them up in the yard, tomorrow, when it’s not raining. Speaking of which, he was a good sport to stand there in the drizzle whilst I snapped this shot. I also took a brief moment to chat with the man, since, you know, I had him here. I have to say I was happy with what I saw: a smart and genuine guy who recognizes the uphill battle he’s got in taking on Boehner but is working hard on it anyway, because as he correctly noted, if you aim for failure, that’s what you’ll get. The rest of the specifics of our conversation are between us — I wasn’t interviewing him, sorry — but I will say that my sense of him in our brief chat was that this is a guy I’m happy to vote for, rather than him being someone who gets my vote because I’m voting against Boehner (which this year I feel obliged to do, although I haven’t always felt so in the past). From a practical point of view this may be a distinction without a difference, but from the point of view of actually voting for a person who will represent you in Congress, it matters. So, good luck to him; I’ll be pulling the lever for him in November. Classy! It’s a pity that probably only a very small percentage of Whatever readers live in his district. I hope he’s showing up on other people’s doorsteps, not just yours. My impression is that voters respond very well to candidates who actually try to interact with them personally. In fact, I gave him some signed books. What he does with them is up to him. My understanding is today is a door-knocking day for him; after he was done here he was off to drop off more signs and have more face time with folks. Excellent. I had been wondering if he was going to stop by and have been checking in all day. I thought he might drop by and offer up the signs, gives him that “man of the people” type of feel. I do hope that he wins. I disagree with Boehner’s politics and also think it’s too strange to have someone that orange in Congress. I’m always impressed when people that are running for public office actually visit my house personally. That alone is often enough to sway my vote if I’m sitting on the fence. Well done, Mr. Coussoule. Good luck with the rest of your campaign. Good job, Justin! Hope you take down John of Orange in November! He seems like a real person, too, which is always nice in a politician. Boehner needs a brand reboot to aim for the younger vote. I’ll email his minions and suggest he change his last name back to the original German Böhner. The umlaut makes it edgier. I respect a candidate who shows up on my doorstep. It’s only happened twice in the thirteen years I’ve lived here. Not in Ohio, and not sure it’ll help, but for what it’s worth, posting this to my FB in case any of my friends are in that area. @5: Orangeist! My cat objects to your bigoted anti-orange viewpoint! He flicks his tail at thee, sir! In other news, after running madly all over the place, Australia’s Federal Parliament is finally sitting today. But in lieu of that, I’ll just say it here in case he stops by again: Mr. Coussoule, the $25 you just got from me was for showing up here on the Whatever, and for hand-delivering signs yourself. Awesome. (It’s also for your stance on the issues, which I looked up before donating to you). I lived right across the border in Richmond, IN from 2005-08 before moving to DC. Best wishes to your campaign–I hope to see you around town next year. Justin Coussoule is right about one thing, John Boehner is an elitist Washington insider that needs to go. Coussoule should keep hammering the 115 rounds of golf a year Boehner plays, and he should keep casting himself as the Independent, and get rid of the Democrat of the Year lable. The problem for him is that he is NOT a Tea Party type of candidate, although his rhetoric sure makes him sound like one. I know, I know, John Scalzi and 99% of the people who post on this blog are died in the wool liberals who love to mock and demean the Tea Party. The unfortunate fact for all you folks is that a majority of the country is sick to death of bigger government, more regulations and higher taxation. We are also tired of watching our Representatives/Rulers piss all of our money away paying for union and government pensions and benefits, and yes, Wall Street bailouts. So yeah, we are sick of douche bags like Boehner. But we want to replace him with someone who’s not in another special interest’s pocket, i.e. the unions. When you get a guy who seems like a big improvement over the elite, private golf club mannequin we’ve had in there forever, WE ALL want to vote for him. Especially us poor ole, down-home, ignorant Tea Party rubes. The problem is that the fresh, young clean-cut guy is for bigger government and more Union payoffs. He’s right about Boehner, though. A lot of us said the same thing about Obama. When’s the last time you squeezed six vacations into one summer? And he may not be up to golfing twice a week like Boehner, but he golfs a helluva a lot more than any other CEO I know who’s company is spiralling down the economic shitter. Billy, could you try screeding a little less please? Thanks. I will if you will, Big Boy. It’s his blog, Billy Boy. Man can screed all he wants and tell you not to in the comments. And than use the Hammer of Gentle Recourse when you mouth off on his property. Small ‘l’ libertarians are supposed to love that crap. As Pixelfish rather all too gleefully notes, you are vastly miscomprehending our roles here on this site. You may wish to examine the site disclaimer and comment policy for further edification on the subject. I realize you may have been attempting a funny, however. It didn’t work. Personally, I would be more insulted by the implication that I couldn’t win a debate without a hammer, than someone pointing out that I also screed. The mallet isn’t for winning arguments. It’s for use on people who aren’t making arguments, even if they think they are. And on that note, we’re done with this particular line of discussion. Let’s move on. Back on topic: Yeah, I wish I could vote for someone, and not against the greater of the two evils more often. *Incompetent Democrat or lying fiscal Republican for Gov. *The Unknown D (complete with bag) or the R Steve King makes look sane for Rep. The only one I can really vote for is the guy running for the state Ledge seat because he’s visited my house not once, but twice, going door-to-door. He’s a brilliant neurosuregon – now how many people would like to say that about their State Rep? John, it was a real pleasure to meet you this afternoon. Thank you for the opportunity, the sign placement, your book, and of course, for your kind post and your support. We got back about an hour ago from a long (but very rewarding) day of delivering signs, knocking on doors and meeting a lot of great people across OH-8. Certainly not our first or last day knocking doors, but hopefully our wettest! @idiosynchronic: Is it possible he visited you twice because you might be the sort to be a vote-getter? The idea works along the Thousand True Fans theory (discussed on this website in years past) where particular voters are super important because they are capable of mobilizing the community at a level that the candidate would find hard to reach without spreading themselves too thin. You’re welcome and likewise, great to meet you too. Glad the rest of your day was productive. Only five more weeks to go — try not to let the pressure get to you. The Scalzi, has POWER, he does. I’m always surprised when I meet a Democrat like Coussoule who says he has a plan for bringing jobs back to our area and then he tells me about it! And surprise — it actually has something to do with rewarding businesses for hiring Americans and not taking business out of the country. It’s time we had someone stand up for us. I’m sorry if that seems to be “government getting in the way of business” to some, but frankly, I’m also tired of knowing my neighbors are unemployed because their jobs went to Egypt or the Phillipines and their companies were rewarded for it. Coussoule has my support as well. You have inspired me, o God Emperor of SFWA, even though the weed-clogged front yard here at the Last Homely Shack East of the Manhan isn’t nearly as large or glorious as the velvety manicured expanse of the Scalzi Compound. Tomorrow I shall go forth and return with a yard sign for my Congressman, John Olver, a cranky former professor who drives an old Toyota, wears jeans with bicycle clips around town, and didn’t bat an eyelash when one of my co-workers sailed past him wearing a yellow sarong on his head during a visit to my company. And no, I am not making any of this up. Especially the part about the Congressman and the 6’2″ Hungarian with the sarong. I’m calling my mother to strongly suggest she vote for him, since she’s in the district and all. I was impressed with your comment about voting “for” someone rather than against someone else. What a great idea! More people should try it. A number of years ago I suddenly realized during an election that voting “against” seemed to be what I was doing most of the time. Since then I have made an effort to actually vote for the person I felt would do the best job for my riding (Canada) and not simply to vote against another candidate, or for a particular party. It has forced me to become more aware of the issues and of the candidates themselves. I’ve been much happier with my voting choices since then no matter who won. Yeah, John, I hear you about the “voting for” distinction. I felt that way about Obama … mistakenly, as it turns out. If I had to cast the vote again, it’d look the same and count the same, bur it’d only be *against* McCain/Palin. I’m well aware that it’s prolly not wise for me to post this comment, and really I should leave it alone, but I do find Billy Quiet @ 15’s comment equating ‘the unions’ with ‘special interests’ rather disturbing. Maybe it’s my misunderstanding of what ‘special interests’ means in the political realm. I always thought that the definition of ‘special interest’ was large corporations paying a bunch of people (lobbyist) to go convince the appropriate legislators on capitol hill to vote according to the wishes of their corporate employers to garner consideration for their particular desired legislative outcome. I always thought that unions were formed to protect workers from exploitation and greed from said employers. I understand that things have changed over the decades, and, yes, corruptions has occurred in the larger union organizations. I don’t deny that reality. But to equate *all* union representation as “special interest” relegates all of the work they do to protect their members/workers, actual human beings, to the level of lobbying interests by the huge energy companies and banking firms for the sake of profits…. I’m sorry, but in my book, if you consider organization that generally work to protect the rights of actual people, and by people I mean people who are just trying to live their life as best they can, not people who happen to work in a particular industry, that does not fall within the ‘special interest’ category. Damnit! 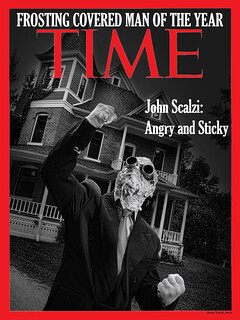 Mr. Scalzi, I went waaay off topic, my apologies. At the moment I read your candidate was “taking on Boehner,” Star Wars music started playing in my head. This is awesome John. Good luck to you Justin. I think unions can be special interests if you define special interests as “people who the government person will vote to help”. Which means we’re all special interests. So then it just depends on who you’d rather help. I vote liberal because I want to help unions (which I believe are run generally by good people, and run by lots of people) and poor people. I don’t vote republican because I don’t want to help corporations or rich people (which is what “free market” does. Helps people with money). 2) As far as healthcare goes… 40% of America oppose the specific legislation, but opposes it because it didn’t do enough to help. That doesn’t sound like the tea party line to me. As a non-USA person I would love to see you do an actual proper interview with Mr Coussoule. It’d be educational for me to see that, it almost certainly wouldn’t hurt his chances in your election race, and you’d get to put those burning issues we keep seeing springing up in comments threads to him for responses to them. On the whole “happy to vote for someone, rather than against someone” thing, I’m happy you get a chance to so that. I’m going be a cranky old man here and say that a candidate who knocks on *my* door is going to get a closed door in the face just like door to door salesmen and religious predators. Plus one black mark against them. Admittedly not as big a black mark as the one they get for phone-spamming me. Leaving or mailing a flyer is is fine, however. As is on-topic blog comments as above. I’m going be a cranky old man here and say that a candidate who knocks on *my* door is going to get a closed door in the face just like door to door salesmen and religious predators. Just as long as you’re not one of them folks who complain that politicians don’t know what the voters want…. You might try contacting the local League of Woman Voters. They have been publishing this kind of information for years. I find them at our local library – no names required. I like candidates (as opposed to candidate door-knockers) who knock on my door, even if I don’t agree with them, and even if I don’t end up voting for them. I ask them in, offer coffee or other libations, restroom, talk or quiet as they prefer. It’s hard work, running for office, and I appreciate them. Voting for someone is a very different experience than voting for a party or against someone or against a party. I don’t get to do it often (every couple of years) and it always makes the voting experience much more enjoyable when I can. gwangungon @43 Strangely, in this diverse world of ours there are multiple ways of getting information. Which candidate in recent elections tried to talk to every single eligible voter in their district? Which candidates rely solely on such personal contacts, totally ignoring polls, etc? And no one thought to consider the implications of gathering information that could be used to spin the information in one direction or another. Yes I’m arguably an overly suspicious person. In my area, you can walk into any public library and pick up the LWV’s flyer, no questions asked. Check your library or any place that local flyers are out for public dispersal. Being able to vote wholeheartedly for someone is a thrill that happens too rarely. But if it comes to a choice between voting against one candidate whose views I think are disagreeable or dangerous and staying home because I can’t muster up sufficient enthusiasm for the other candidates(s), I’ll vote against every time. As the late great Molly Ivins said, sometimes you hold your nose and vote. @42 – I use http://www.smartvoter.org for ballot info. All you need to provide is your zip code, and it displays all the info that will be on your local ballot (along with other local measures outside your own area, unfortunately, but I guess someone has to keep an eye on what the neighbors are up to) along with links to candidate and position websites. It also lets you look at past ballots as well as election results. Can you draw a meaningful distinction between a union’s work to advance its member’s interests, and a corporation’s work to advance its shareholders’ interests? Well, lairdb, taking the Garment Worker’s Union as an example, I doubt many shareholders need to be protected from being crammed into buildings that are fire hazards. Just for starters. In other words, shareholders may have financial interests that a corporation looks out for, the the concerns of laborers often extend to such basics as their physical safety, or their ability to have an existence outside of the job they do for their employer. Hurrah for the retail politics by Mr Coussoule. Going door-to-door is hard work (looks like it’s even *harder* in rural Ohio – that’s a long driveway). Although I’d clearly be for The Other Guy, I love folks who care enough to come to my door and ask for my vote, especially if they’re willing to dicker about politics for a few minutes. I end up getting robocalls from Meg Whitman, which I find terribly tedious. I see that big yard. Athena needs a pony! I think it’s wonderful that you have someone to vote for. I’ve been voting for more than 20 years and all I can do is vote against some schlub. Yes. In the corporation form of business ownership, shareholder(s) = owner(s) of the corporation. And with that, I will leave this sideline of discussion. It is off-topic, and I’d rather not be on the receiving end of the Mallet of Loving Correction. I doubt many shareholders need to be protected from being crammed into buildings that are fire hazards. Or, to add another example, need to be protected from being sent down into unsafe coal mines. I love american politics. Very few people in sweden would DARE have a sign out front declaring support for one or the other party. oh2, I have to ask, Why wouldn’t people in Sweden DARE to have a sign declaring support for one or the other party? Sounds a lot like my neighborhood association. In your post you say you feel obliged to vote against Boehner this year (which you haven’t in the past). I’m interested to know what’s changed, if you’d care to elaborate. Thanks. Because thats not something we do. Sweden is a very liberal society (and I dont mean in the american leftist way, but rather the original meaning of the word) where freedom of speech and expression is vigorously defended and extolled as a virtue. Swedes in general often decline to answer if you ask them what their political beliefs are, probably because they consider it a very private matter. This is changing slowly, nowadays we are more open about it. Putting up a lawn sign would be a bold statement, everyone would know what you think. The neighbours might take offense! We like our freedoms and even more so the freedom to not tell people what we think. Its a weird mix of individualism and conformity that is very very Swedish. On the other hand, we always have had large political parties with broad popular participation in elections. The last one two weeks ago had 82% of the voters participate. I can’t see how anyone can vote Democratic after what the Party did to our economy. Curious, how many bloggers on your site are intimate friends and family? Fixed that for you. As long as we’re making silly comments. If you don’t want to look like a troll, Scorpius, try to add a little substance to your football cheers. There’s only one blogger on the site, Evilsteve. I deleted your comment on the other thread for being pointless; this isn’t much better. Evilsteve: snoopy question, what’s the point? Not related (other than that we’re both human beings); I’ve met John once (at a book signing at Uncle Hugo’s) and I doubt that he remembers me from that. Not an intimate friend of any sort, and not really an internet friend (sorry, John, we’ve just not had enough message exchange for that to apply) and of course not a friend. “Friendly internet acquaintance” seems about right, from my perspective, and I hope he thinks something like that of me. 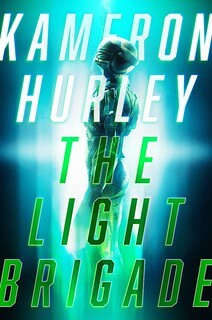 Oh, and he’s a great science fiction writer which I’m happy to buy and read. It was actually a serious question, I didn’t mean for it to be rude or sarcastic. This is one of the reasons I believe this form of communication is sometimes poor. No facial expressions, no tone of voice, etc. Get back to this in a moment. I travel the world on busyness and usually don’t have time while traveling to browse the websites I take in at my leisure while at home. Therefore If I feel like sharing sometimes it’s late. Of course there is no way you could know this till now. That said I should probably put a rule in place for myself not to jump online and respond to anything when I get home until I’ve had some rest and am able to share what’s really going on in my mind as opposed to falling into a this is all I’m physically and mentally able to do right now mode. Does that make those last two entries thoughtless, ( and to everyone else pointless), sure, I’ll give that. Go ahead, in my honesty I’ve opened myself up to a cheap shot. Back to my serious question, in a round about way. I have never met John or read one of his books, though I do have two in my tbr pile, next flight perhaps. I was recommended to check out this site by a mutual acquaintance of myself and Johns. They also happen to live in the same district of Ohio John lives in. Not interesting in and of itself but as I read the threads throughout this site there appear to be a number of people who have an intimate knowledge of of your area, your local politics, and even your weather. So honestly, do you have a large local following? Do you have many local events or do you try to avoid that sort of thing? We have a radio station here with a very popular morning show. If you were to tune in for a couple days or even weeks the listener may find themselves lost to the topics since they return to some conversations over the coarse of months and years. It appears by what I see on this site that this may be the case for what I refer to as intimate knowledge of yourself or area. Perhaps many of your readers have been following your thoughts by thread for a long time and that is why it sounds that way to me. Could this be the case? I’ve only been following your site for about a year. I am not going to pretend to know you or how you fully tick by reading this site, though there appear to be some that do. Maybe it’s a little bit of all of the above? So, seriously, just wondering. Sometimes when I’m gone for a long time I’ll come back and head over to the computer, look up the Whatever site and find dozens of entries to pour over. This is a credit to John. I don’t know him. As I’ve said I haven’t read any of his books, yet! I come over here because I am intrigued. Most authors talk about their books and other peoples books and that’s about it. They can be interesting, however John, you are not afraid to go out on a limb. I do not always agree but I enjoy reading your thoughts. You appear consistent, and stand by your ideals. I am not afraid to listen to and consider others concepts or feelings about all matters. I am much more inclined to hear out a person who shows integrity on a regular bases. Kudos to you! Seriously. When I arrived home earlier this week and saw all the political and financial commentary on this site from the last couple of weeks it was a bit overwhelming and quite fascinating. I would have liked to been able to share where I completely agreed with you and your other readers and where I did not. My mental and physical state only allowed for one sentence of my sarcastic humor to come forth. Go ahead, insert cheap shot again. Had I been brilliant enough to add a lol or something of that silly nature, maybe it would have been seen in the intended light and not been misinterpreted for something I didn’t purpose, or maybe not. It is possible that our sense of humor is nothing alike. It is possible that your the funniest guy on earth in the right situation or maybe you don’t have any humor at all. Like I said, I’m not going to pretend to know you. This is getting back to the problem of blogs. Many times I will say nothing for not knowing if someone is being serious, joking or a lunatic. Had we been video conferencing you would have seen a huge smile on face while I typed my different day comment before I went off to bed. Sorry this was upsetting to you. I will temper my humor in the future best I can. I am human, I make errors, and must remember that not everyone sees things the same way I do. With that I’ve given you another opportunity to insert cheap shot here. Buy the way, my eldest son and his fiance are huge fans of your television show and he picked up TGE based on his liking of the program. I get to borrow it when he’s done. That will be three in the tbr pile. I’ll get there, I promise. Thanks for the explanation and no worries, I’m understanding you better now. As to the question of how many of my readers are local, I’m not sure. I do know I have some local readers — by “local” I mean within a 50-mile radius — although I suspect the large majority of my readers are from elsewhere. When I had Google Analytics looking at the site it would tell me that my largest chunk of readers in the US were in California and New York, with Ohio in a general sense a smaller market, as it were. I’d have to look at it again in more detail to get a better sense of it. The is a long way of saying I have some close by, but most are from somewhere else.